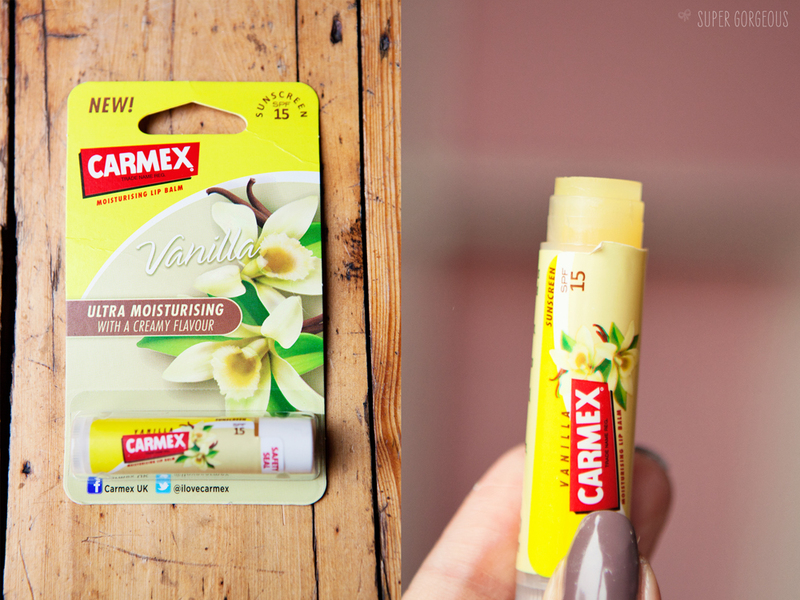 Carmex has recently launched some new flavours - vanilla, lime, and pomegranate. I have the vanilla one and it's gorgeous - it still has that hint of original Carmex flavour, but with a vanilla twist. It has really helped to keep my lips feel nourished through this cold weather and tastes delicious - I think they'd make a perfect stocking filler pressie! 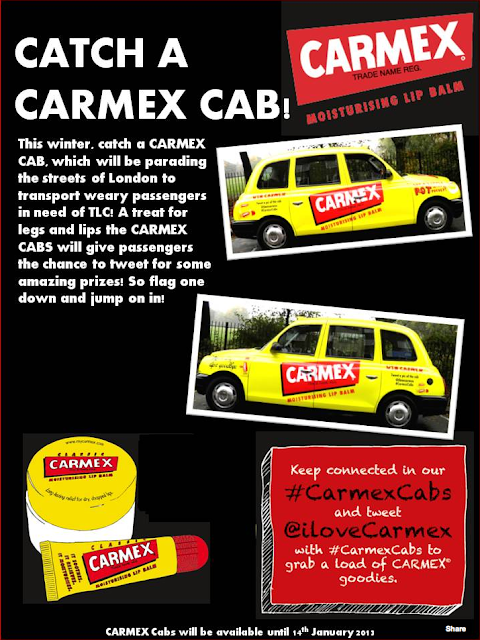 To celebrate, they have turned some London black cabs into Carmex Cabs! If you see one, flag it down - get in and Tweet @ilovecarmex using the hashtag #carmexcabs and you can get a whole load of fab prizes! Cabs are available until 14th January - keep those eyes peeled! ohh I'm in London 1st weekend of december so i'll definitely be keeping my eye out, putting what i have to tweet in a note on my phone to remind me! Vanilla carmex?! I'm in heaven. I like lime carmex.It's my favorite.